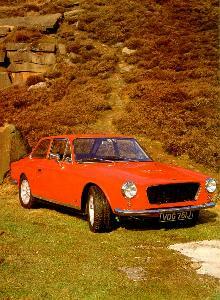 Gilbern cars were made in Llantwit Fardre, Pontyridd, Glamorgan in Wales between 1959 and 1973. 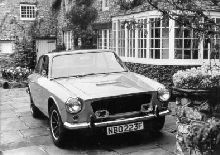 Gilbern Sports Cars (Components) Ltd was founded by Giles Smith, a butcher, and Bernard Friese a German engineer with experience in glass fibre mouldings and was one of the few cars to be made in Wales. Friese had made a one off car for himself and the two partners, he used this as the basis for the first Gilbern car. The initial premises were a tiny workshop in Church Village, Pontypridd, but when production started they moved to a new location at the old Red Ash Colliery at Llantwit Fadre. The cars were available at first only as kits, but later complete cars were also available. In 1968, following a search for a cash injection, Gilbern was taken over by Ace Capital Holdings Ltd whose main business was the manufacture of slot machines. Following the takeover Giles Smith left the company to be replaced by Mike Leather and Maurice Collins as joint managing directors. 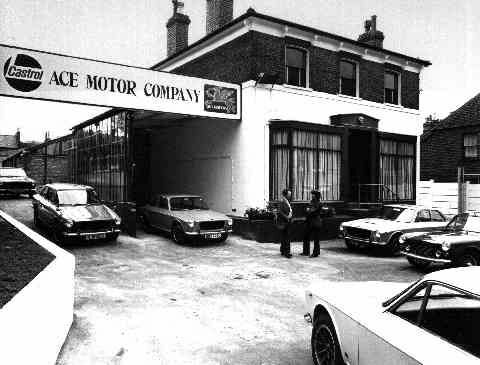 In 1970 Ace was bought by entertainment group Mecca Ltd who sold the company to Maurice Collins who in 1972 sold it again to Mike Leather. The cars were expensive for the time and became more so with taxation changes that added Value Added Tax to kit cars and production ceased in 1973.